When I first arrived here, I saw several tall, lush plants with rather inconspicuous flowers. I decided I didn’t want them to stay where they were, so I tried digging them up and moving them. That seemed to work, until a little later when I noticed numerous other small ones sprouted up everywhere. I tried digging those out, and the same thing happened. 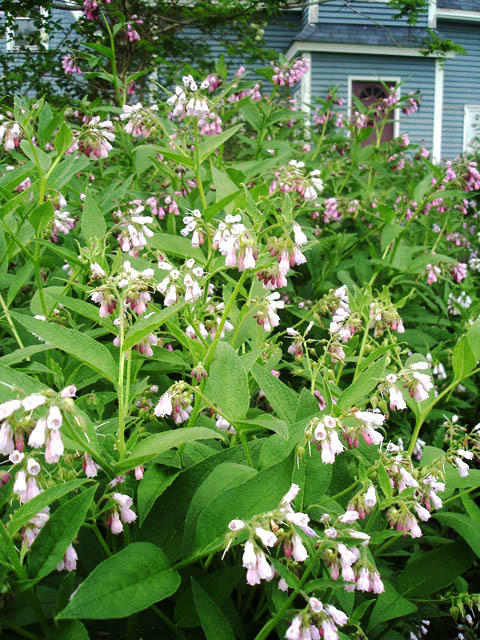 Yes, it was the war of the comfrey. For years I tried to root them out, in vain. At last, I surrendered. Then I noticed a few interesting things about this amazing plant. 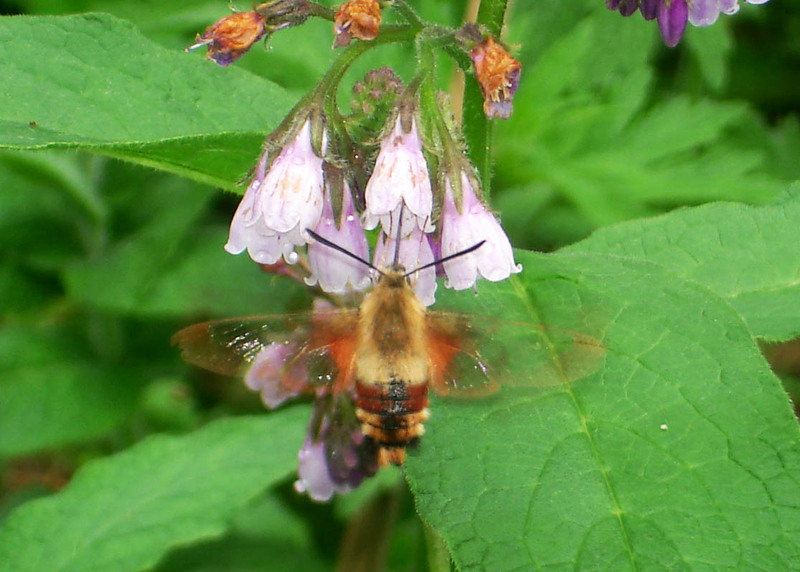 First of all, it is a darling of hummingbirds, bees, butterflies, and several other flying things, including the hummingbird moth. This was my first glimpse of this moth, and I was wishing for a better camera than my ancient point-and-shoot! 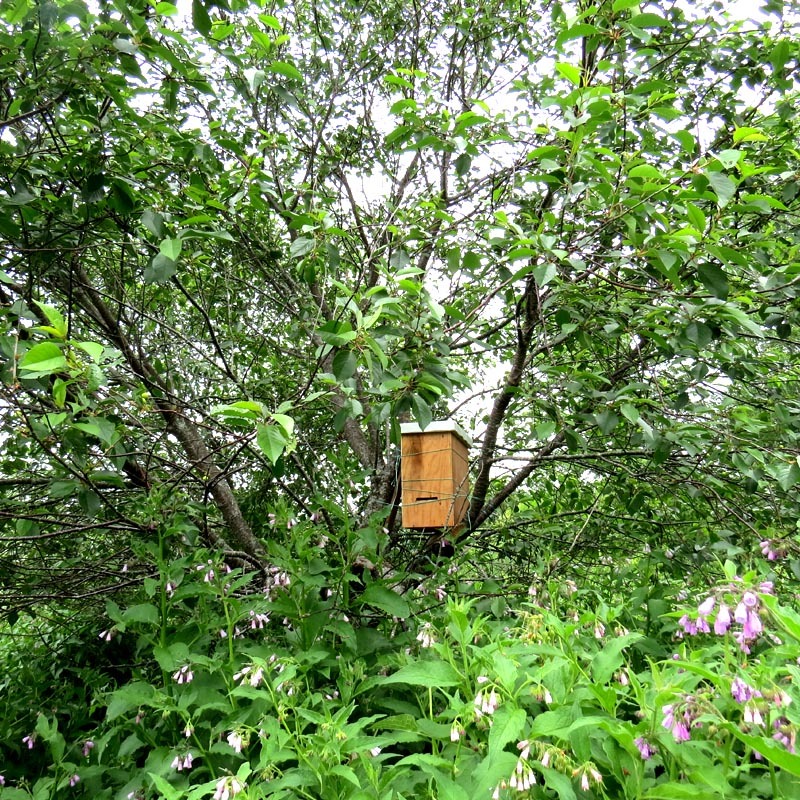 Since the apple blossoms dropped a couple of week ago, I have not seen many honey bees. I don’t have my own hives, and these may well be a colony of honey bees gone feral, as there are no bee keepers in my vicinity, to my knowledge. 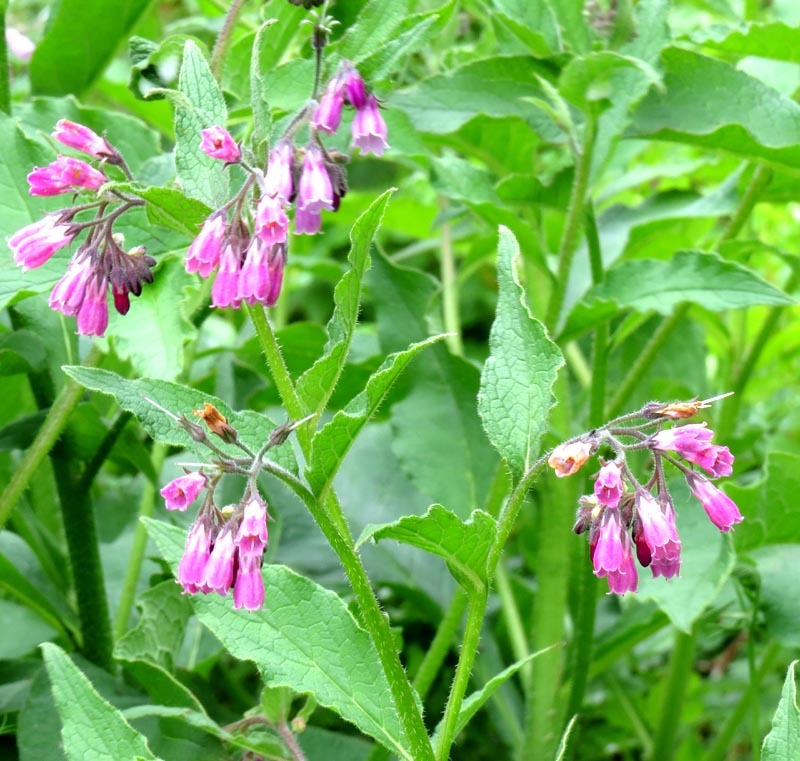 The bumblebees have been working the comfrey since they started to bloom in the past week. Finally the honey bees showed up! First one or two, then a few dozen at a time were spotted just yesterday. 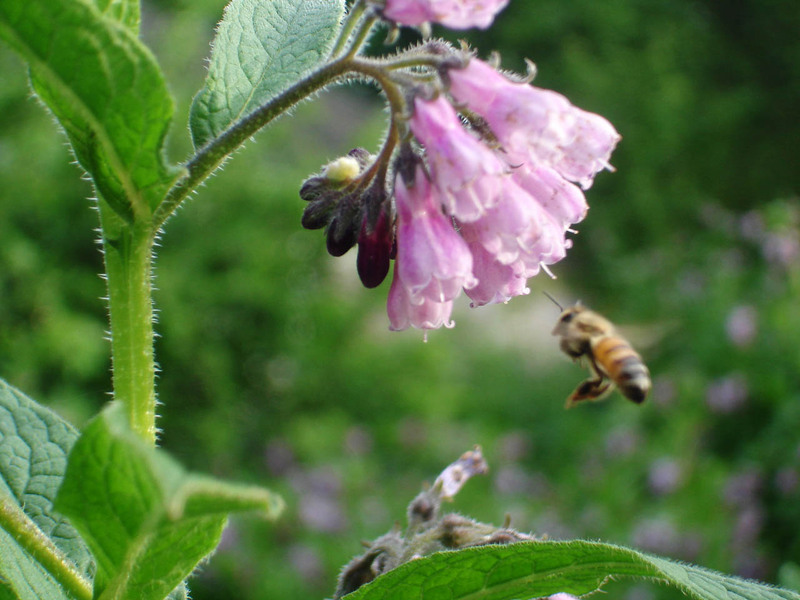 This is how they work: the scout bees find a “flow”–which could be a blossoming tree, or a comfrey patch–then they go back and communicate to the hive. The vigour of the dance communicates the magnitude of the nectar flow. I expect my comfrey patch has now started to generate some attention in that particular hive! I’ll keep you posted. In my next posts I would also like to share other positive attributes of this plant I thought was a pest, and also, the other beneficial plants of the garden which are helpful to the bees in particular.